Do you find drinking too much alcohol is harming your weight loss? Would you like to take control of the alcohol so you drink less of it? Do you want something that will help motivate you to do just this? 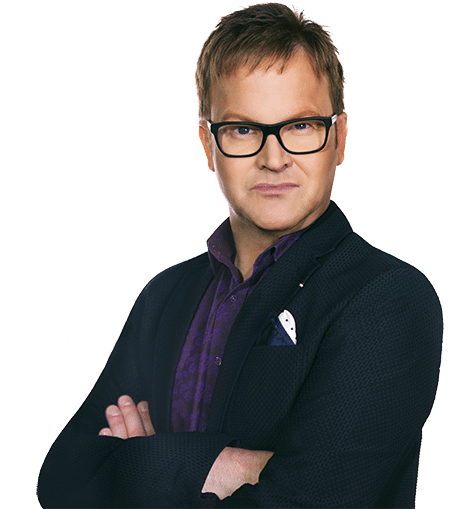 Hi, I’m Steve Miller and over the past 11 years, I have helped thousands of people crush unwanted habits, boost their confidence and take control of their lives for the better. You may have seen my unwanted habits articles in such publications as Daily Express, Daily Telegraph, Sunday Times, Daily Record, The Sun, Daily Mirror as well as a wide range of high street consumer magazines such as GQ, Zest, Closer, Cosmopolitan and Grazia. Or you may already have one of my best selling books. Or you may have seen me on the Sky TV hit show Fat Families. Plus I am now celebrity blogger for Hello and The Huffington post. Now, Here’s What I’ve Got For You. 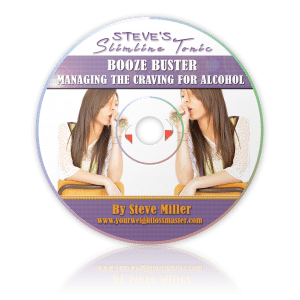 Introducing… Steve Miller’s Slimline Tonic: Booze Buster It’s the brand new mind programming tool to help you break the cycle of drinking too much alcohol. The first audio is designed to help you take control of any underlying cause for drinking. If you feel there may be certain triggers for drinking too much alcohol such as stress, lack of self confidence, self esteem issues, job pressures, relationship pressures etc. then listen to this audio to help control the trigger. Manage the trigger for drinking alcohol. Replace drinking alcohol with something more constructive. Take control of what is responsible for leading you to drink alcohol. The second audio will help to affirm deeply into your mind that you are in control and have less desire for alcohol. It will also increase your confidence for the future, by helping to program your mind that the past is now past and the future is less dominated by alcohol. Increase belief that you have the control over alcohol. Drive the confidence that you have a future less dominated by alcohol. Ensure your mind is less dependent on alcohol and more positive about the future. The third audio provides a wave of strong motivation if you are one of those people who wants to go out and enjoy themselves without drinking alcohol. This is definitely the audio you listen to before a night out! Increase your motivation to be alcohol free on a night out. Maximise your control over alcohol on a night out so you remain alcohol free. Accelerate your will power so that throughout the night you are completely alcohol free. Included in your programme is access to the Weight Loss Master Facebook Group. Join this group so that you can receive live questions and answer sessions on anything you need to check out in the Booze Buster programme. In addition this will give you an opportunity to receive additional support for you to use lose weight. Any forwarding on these download products to third parties is deemed theft. Do not listen to these MP3 audios when driving or operating dangerous machinery. Purchasers agree not to forward the product onto any third party. You will need access to a PC or Mac, and iTunes to listen to the audios on your iPhone or iPad.